Struggling with pre-ordering the new iPad from the Apple Store? RadioShack is the first Apple reseller to kick off pre orders of the third iPad, so you might want to give it a try. Apple opened pre-orders on the day of the announcement of the new tablet - Wednesday, March 7th. To pre-order the third-gen iPad at RadioShack there’s a slight catch, though, you’d need to first buy a $50 RadioShack gift card. You can later use it towards the standard price of the tablet, or for any other thing sold at the retail store. You can bypass this by just waiting for the official launch of the iPad on March 16th. 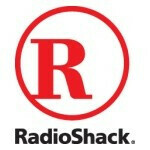 RadioShack clarifies that pre-orders will only be available in brick-and-mortar stores, and not online. Pre orders at the Shack will end on Monday, March 12th. RadioShack is also one of the few that offer trade-ins for old iPads. Users are rushing to sell or trade in their often less than a year old tablets to get the latest and greatest from Apple. The Shack’s system is particularly good because it allows people to take trade in their gadget at the very same time when they make the new purchase. Big electronics stores like Best Buy have not yet announced when the new iPad will be available with them, and neither have AT&T or Verizon. rebate. This special promotion will end on Saturday, March 31.
for Apple products and accessories more convenient. to the store to have the appraisal confirmed and complete the trade. kremen where do you manage your store at? i used to work for radioshack in Coralville, IA then i moved to a company that treats me as an employee well, Best Buy. That is not the policy for the NY Metro Region!